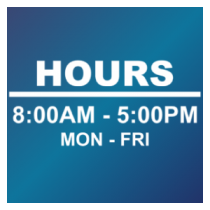 Almost any business that has a storefront could benefit from posting office or business hours on their windows. 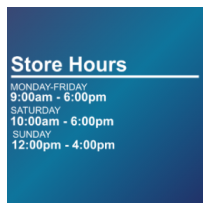 This will allow your customers to schedule their visits to your store or office without any worries of it being closed. 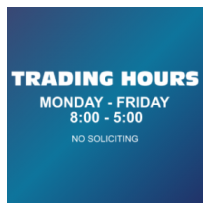 All customers will appreciate you displaying your business trading hours and making appointments more convenient for them. 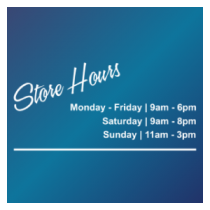 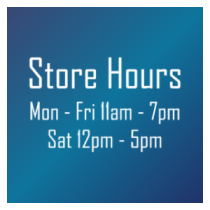 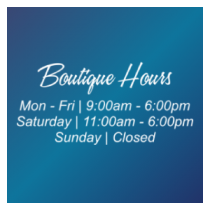 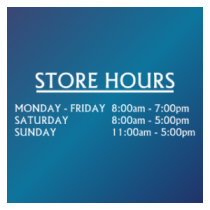 Your store hours lettering can be customized by using any of our templates above. 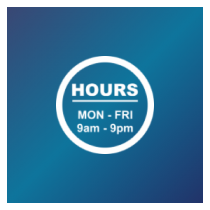 We have templates that would be perfect for a wide range of businesses such as restaurants, law offices, medical offices, retail stores, and many more. 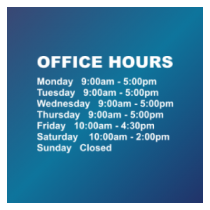 Most customers and potential clients expect the company's business hours to be posted near or on the door. 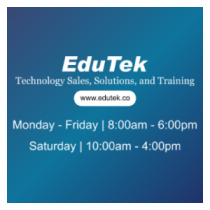 We provide an easy, affordable solution to give your customers what they expect, especially since it is a standard custom in the U.S.